Yesterday, to support Teen Literature Day, I bought two books and left them in the rec centers around town where I know kids hang out. I loved reading when I was in high school, but no one was putting any young adult literature in my hands, so I was reading things like Guns, Germs and Steel by Jared Diamond or Emma by Jane Austen. I don’t regret that I spent my youth reading academic writing or classics, but I sure would have loved to experienced the gorgeous, inspiring prose of writers like Gayle Foreman when I was that age. 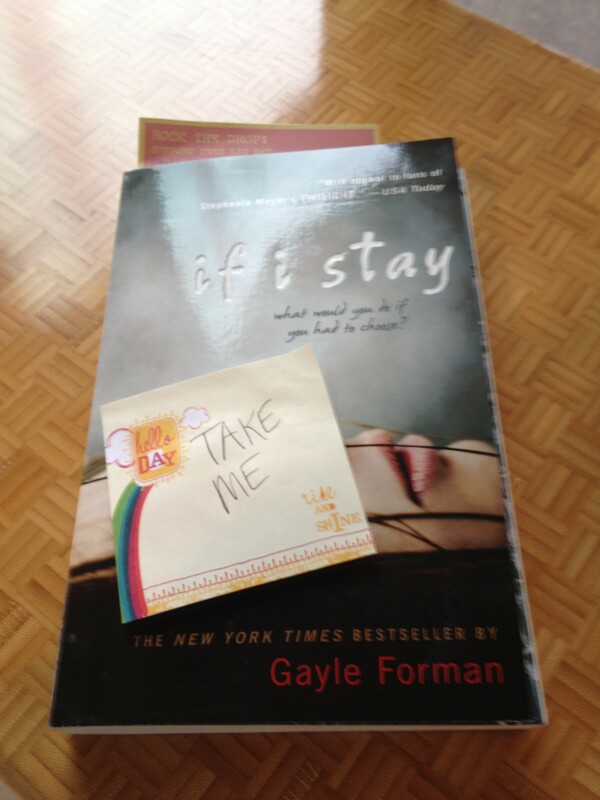 Twitter was all abuzz with YA authors who were leaving their own books across their cities. It was so fun to see all the #rockthedrop tweets with pictures of books in coffee shops and on park benches and wonder about the person who would pick them up. This project undoubtedly put books in the hands of people who wouldn’t seek them out out their own, and hopefully, a few will become lifelong readers as a result. It’s inspiring that social media can help people coordinate this kind of activism. 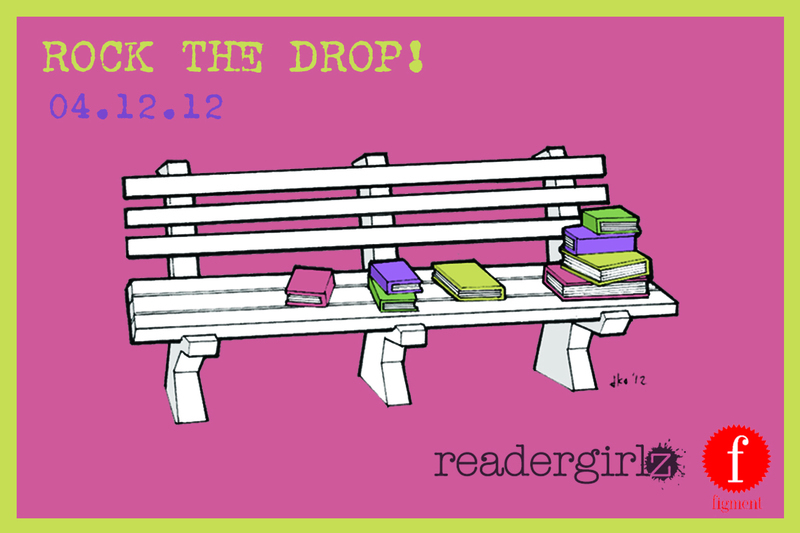 Did you rock the drop or see any books left in odd places yesterday? Hi Molly, you dropped by my blog, Woamn in the Rain, so I thought I would come see what you are up to. I was a high school librarian for 7 years and a children’s librarian in a public library for 8 years. I love childrens/ YA literature. Trying to write one now. I remember leaving books around. I thought that was a lot of fun. Wondering who would pick it up and read it or pass it along. It would be fun to follow the travels of some of those books. I recently read a YA book entitled Don’t Breathe a Word by a locla author (Seattle) Holly Cupala. It is about kids who live on the street. I always thought an area in a city with a lot of street kids would be a great place to leave books. I’m not currently working on YA, but I do have a soft spot in my heart for it, and I prefer working there to any other part of the library. I do imagine who has picked up the books, where they’ll eventually end up, if they’ll have an effect on anyone…the mystery is very fun. Don’t Breathe a Word in on my to-read list. Guns, Germs, and Steel? I hope Jared Diamond wasn’t wandering around youth rec centers dropping his book around. I’m curious, though. Do these books usually get picked up and read? It would be interesting to follow some of these books and see what happens to them.